The reproductive rights advocate spoke at a UW Book Store event at University Temple United Methodist Church. 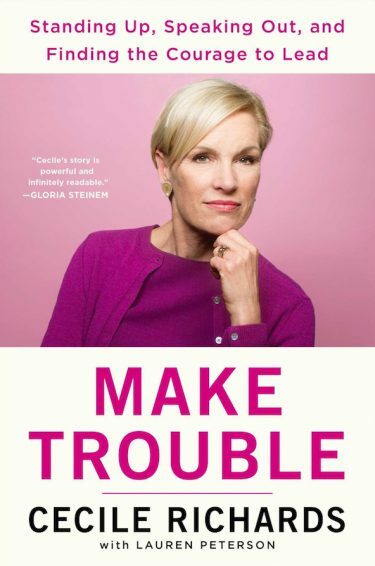 When Cecile Richards came to campus to talk about her new book, "Make Trouble," the mostly female crowd knew they were listening to one of the most influential women in American politics—even if she wasn't a politician. Richards, daughter of late Texas governor Ann Richards, has steered Planned Parenthood through rapid expansion and tumultuous political times. While its donors and supporters now number 11.5 million, the organization still faces a steady current of opposition from lawmakers and abortion opponents. And clinics in Pullman and Colorado Springs have been firebombed and attacked by a gunman in recent years. West, a former editor at The Stranger, started the social media campaign #ShoutYourAbortion in 2015. It encourages women to “talk about abortion on our own terms.” While the Supreme Court legalized the procedure in 1973, polls still find the American public split on this emotionally charged issue. As she entered her 12th year at Planned Parenthood this January, Richards announced that she will step down from the organization in 2018.